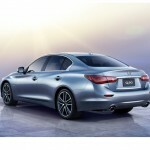 Infiniti today unveiled the all-new 2014 Infiniti Q50 luxury sports sedan at a press conference at the 2013 North American International Auto Show (NAIAS). 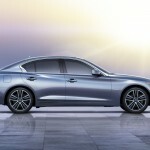 Infiniti Motor Company Ltd. President Johan de Nysschen and Senior Vice President and Chief Creative Officer Shiro Nakamura presented the dramatically styled Q50, which goes on sale at Infiniti retailers in the United States and Canada in summer 2013. "This morning we are about to launch Infiniti on a bold new journey, a new Infiniti brand direction built on a foundation of our past and guided by a clear vision for the future," said de Nysschen. 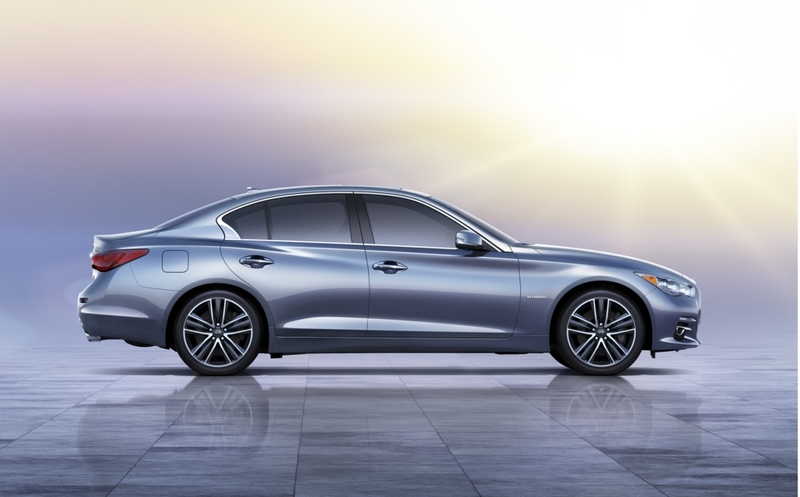 "And it starts right here today with the new Infiniti Q50, a vehicle that clearly crystalizes the design, performance and technology direction for a new generation of Infiniti vehicles." The 2014 Infiniti Q50 is the centerpiece of the Infiniti display at the NAIAS, which runs from Jan. 19th through the 27th at Detroit's Cobo Center. Also featured at the Infiniti exhibit is the complete line of 2013 Infiniti cars and SUVs, along with an Infiniti Red Bull Racing Formula One race car. The all-new Infiniti Q50 takes many of its seductive styling cues from the Infiniti Essence concept, with a tight, athletic appearance that blends low, wide proportions with excellent interior roominess. 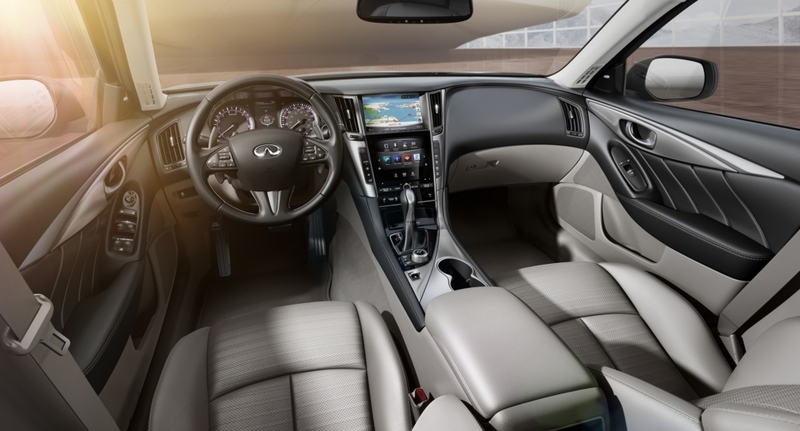 Inside, the Q50 interior offers a driver-centric cockpit with an array of premium comfort and convenience features, including the new Infiniti InTouch™ communications system with large dual touch-screens. "We challenged ourselves with this new Infiniti Q50 to take another great leap in terms of proportion, Infiniti-ness and premium quality. 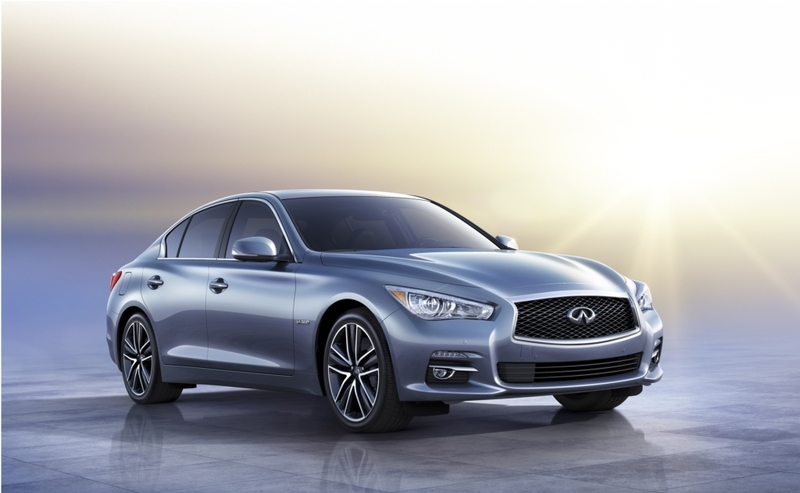 It presents a new benchmark of Infiniti's sedan leadership," said Nakamura. 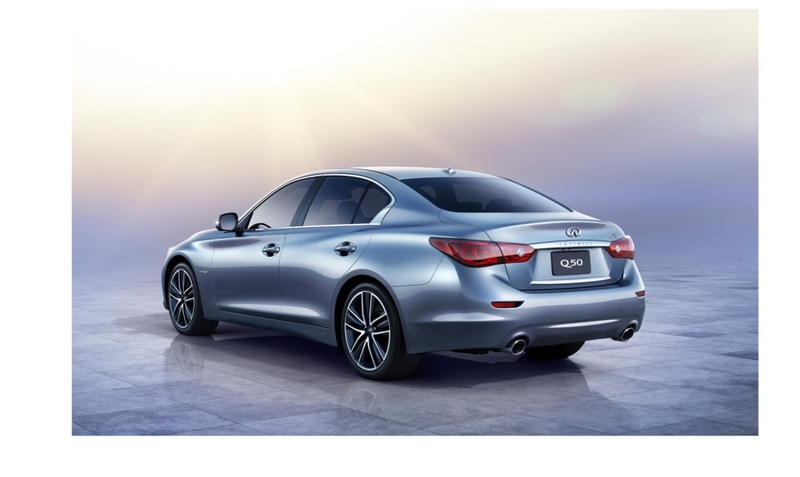 The 2014 Infiniti Q50 will be available with a choice of a refined 328-horsepower 3.7-liter V6 or new Q50 Hybrid featuring Infiniti's Direct Response Hybrid System™ with Intelligent Dual Clutch Control. Both powertrains will be offered with rear-wheel drive or Intelligent All-Wheel Drive. Two new world's first production performance technologies make their debuts in the Q50 - Infiniti Direct Adaptive Steering™ technology and Active Lane Control™. The new steering system allows advanced control of the Q50's tire angle and steering inputs, transmitting the driver's intentions to the wheels faster than a mechanical system. Four different steering settings are offered, allowing customization by driver preference or road conditions. The Active Lane Control™ uses a camera-based lane marker detection system to further enhance on-center driving capability. 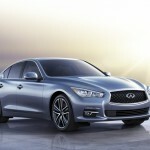 Infiniti recently reported a year-over-year U.S. sales increase of 21.8 percent for 2012, pointing to a strong sales forecast for the brand in 2013. Infiniti is currently sold in nearly 50 countries worldwide and is expanding its production base to three continents. Said de Nysschen: "We are building a solid reputation for quality, customer care and cutting-edge technology. This new Infiniti Q50 is a hint of the fascinating products that will punctuate our future as we craft our brand and shape our destiny."